During what seemed an interminable campaign, a divided country found all kinds of ways to describe Donald Trump: visionary businessman, vulgar self-promoter, political neophyte. But after Tuesday, for all Americans, there’s only one description that counts: president-elect. Since the election, demonstrations against him have broken out in over a dozen cities across the country. And people on both sides are on edge. What we discovered in Mr. Trump’s first television interview as president-elect, was that some of his signature issues at the heart of his campaign were not meant to be taken literally, but as opening bids for negotiation. You will also hear from his family about whether they’ll play roles in a Trump presidency. But we begin with President-elect Trump, whom we interviewed Friday in his penthouse home in the Trump Tower. The following script is from “The 45th President,” which aired on Nov. 13, 2016. Lesley Stahl is the correspondent. Rich Bonin and Ruth Streeter, producers. But after Tuesday, for all Americans, there’s only one description that counts: president-elect. What we discovered in Mr. Trump’s first television interview as president-elect, was that some of his signature issues at the heart of his campaign were not meant to be taken literally, but as opening bids for negotiation. Tonight, you will also hear from his family about whether they’ll play roles in a Trump presidency. Donald Trump: I know, I did my final speech in Michigan at 1:00 in the morning and we had 31,000 people, many people outside of the arena. And I felt-- when I left, I said, “How are we gonna lose?” We set it up a day before. And we had all of these people. And it was literally at 1:00 in the morning and I said, “This doesn’t look like second place.” So we were really happy, I mean, it was-- these are great people. Donald Trump: I think so, it’s enormous. I’ve done a lotta big things, I’ve never done anything like this. It is so big, it is so-- it’s so enormous, it’s so amazing. Lesley Stahl: It kind of just took your breath away? Couldn’t talk? Donald Trump: So Hillary called and it was a lovely call and it was a tough call for her, I mean, I can imagine. Tougher for her than it would have been for me. And for me, it would have been very, very difficult. She couldn’t have been nicer. She just said, “Congratulations, Donald, well done.” And I said, “I want to thank you very much, you were a great competitor.” She is very strong and very smart. Donald Trump: And he-- he couldn’t have been more gracious. He said it was an amazing run. One of the most amazing he’s ever seen. Donald Trump: I can’t regret. No-- I wish it were softer, I wish it were nicer, I wish maybe even it was more on policy, or whatever you want to say. But-- but I will say that-- it really-- it really is something that I’m very proud of I mean it was a tremendous campaign. Donald Trump: Well, look I don’t want to divulge, but we talked about the Middle East, that’s tough. It’s a tough situation. I wanted to get his full view and I got his, you know I got a good part of his view. 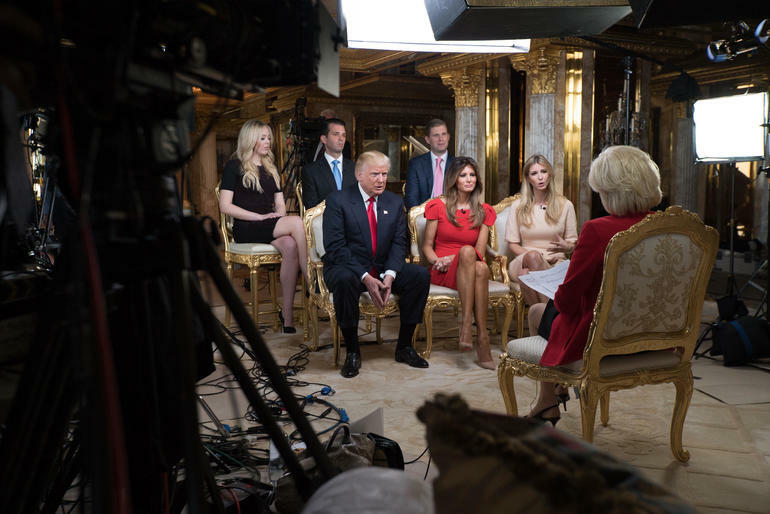 Donald Trump: And I like having that because I’m going to be inheriting that in a short period of time. I found him to be terrific. I found him to be-- very smart and very nice. Great sense of humor, as much as you can have a sense of humor talking about tough subjects, but we were talking about some pretty tough subjects. Donald Trump: Well, he didn’t ask me, no, he told me-- you know, the merits and the difficulties. And we understand that. Donald Trump: No, I think I’m a sober person. I think the press tries to make you into something a little bit different. In my case, a little bit of a wild man. I’m not. I’m actually not. I’m a very sober person. But it was respect for the office, it was respect for the president. Again, I never met him before, but we had-- we had a very good chemistry going. And-- and I really found—it might not be that I agree with him, but I really found the conversation unbelievably interesting. 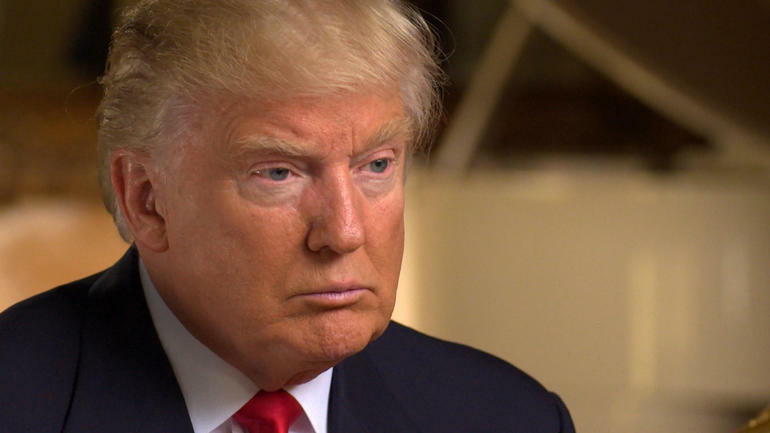 Donald Trump: I’ll be honest, from my standpoint zero, zero. And that’s strange. I’m actually surprised to tell you that. It’s-- you know, a little bit strange. Donald Trump: We’ve spent $6 trillion in the Middle East, $6 trillion, we could have rebuilt our country twice. And you look at our roads and our bridges and our tunnels and all of the-- and our airports are, like, obsolete. And I think it was just a repudiation of what’s been taking place over a longer period of time than that. Donald Trump: You know, I’ll conduct myself-- in a very good manner, but depends on what the situation is, sometimes you have to be rougher. When I look at-- when I look at the world and you look at how various places are taking advantage of our country, and I say it, and I say it very proudly, it’s going to be America first. It’s not going to be what we’re doing—we, we’ve lost-- we’re losing this country. We’re losing this country. That’s why I won the election. And by the way, won it easily, I mean I won easily. That was big, big. Donald Trump: Sure I can. I can be easily, that’s easier. Honestly to do that, it’s easier. Donald Trump: What we are going to do is get the people that are criminal and have criminal records, gang members, drug dealers, we have a lot of these people, probably two million, it could be even three million, we are getting them out of our country or we are going to incarcerate. But we’re getting them out of our country, they’re here illegally. After the border is secured and after everything gets normalized, we’re going to make a determination on the people that you’re talking about who are terrific people, they’re terrific people but we are gonna make a determination at that-- But before we make that determination-- Lesley, it’s very important, we want to secure our border. Lesley Stahl: And you’ve got both Houses? Donald Trump: It’s been a long time since it’s happened. Donald Trump: And they gave me a lot of credit. Don’t forget, I was abused four or five weeks ago, they said I was going to-- instead of having all three, we would lose all three. So that was good. But those are the three things that we really discussed. Donald Trump: I don’t like it, no. Donald Trump: Everything, everything down there-- there are no people-- there are all people that work -- that’s the problem with the system, the system. Right now, we’re going to clean it up. We’re having restrictions on foreign money coming in, we’re going to put on term limits, which a lot of people aren’t happy about, but we’re putting on term limits. We’re doing a lot of things to clean up the system. But everybody that works for government, they then leave government and they become a lobbyist, essentially. I mean, the whole place is one big lobbyist. Lesley Stahl: Let’s talk about your cabinet. Donald Trump: You know the amazing thing to show you the incredible nature of our country. First of all, every major leader and probably less than major le- has called me, I’ve spoken to many of them and I’ll call the rest of them, but and I said, “Boy, this really shows you how powerful our country is.” France and U.K. and I mean everybody, all over Asia—and very, just to congratulate. But it really shows the power of our country. Lesley Stahl: Are you in any way intimidated, scared about this enormous burden, the gravity of what you’re taking on? Donald Trump: I respect it. But I’m not scared by it. Donald Trump: I just don’t think they know me. Lesley Stahl: Well, what do you think they’re demonstrating against? Lesley Stahl: OK, but what about – they’re in every city. Lesley Stahl: When they demonstrate against you and there are signs out there, I mean, don’t you say to yourself, I guess you don’t, you know, do I have to worry about this? Do I have to go out and assuage them? Do I have to tell them not to be afraid? They’re afraid. Donald Trump: I would tell them don’t be afraid, absolutely. Donald Trump: Oh, I think, no, no, I think-- I am saying it, I’ve been saying it. Donald Trump: Don’t be afraid. We are going to bring our country back. But certainly, don’t be afraid. You know, we just had an election and sort of like you have to be given a little time. I mean, people are protesting. If Hillary had won and if my people went out and protested, everybody would say, “Oh, that’s a terrible thing.” And it would have been a much different attitude. There is a different attitude. You know, there is a double standard here. It has been five full days since the election and anti-Trump demonstrations, driven in part by Hillary Clinton’s edge in the popular vote, have been significant. Donald Trump: I would say don’t do it, that’s terrible, ‘cause I’m gonna bring this country together. Donald Trump: I am so saddened to hear that. And I say, “Stop it.” If it-- if it helps. I will say this, and I will say right to the cameras: Stop it. During the campaign Mr. Trump said he would appoint a special prosecutor to look into Hillary Clinton’s email issue. 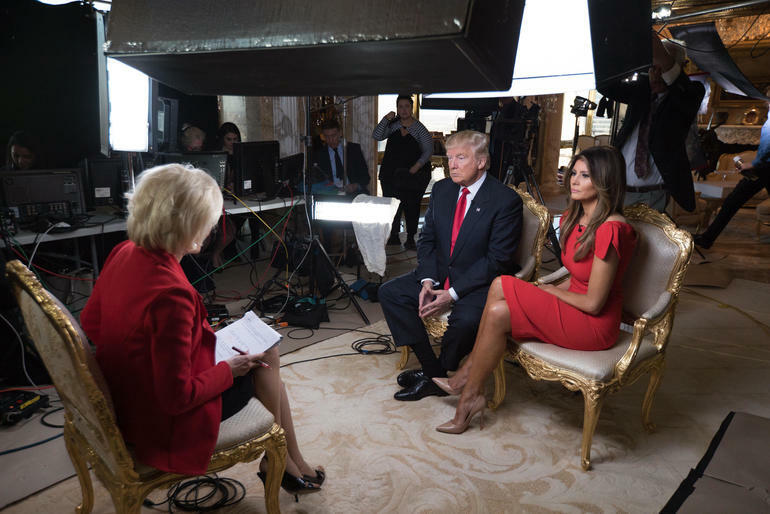 That part of the interview and a discussion with the next first lady, Melania Trump, when we come back.Lesley Stahl: Do you want to say anything to those people? Between now and Inauguration Day, the team must fill the new administration with 4,000 political appointees. That’s 4,000 new hires in just nine weeks. Donald Trump: I’m going to do very restrained, if I use it at all, I’m going to do very restrained. I find it tremendous. It’s a modern form of communication. There should be nothing you should be ashamed of. It’s-- it’s where it’s at. I-- I do believe this, I really believe that, um-- the fact that I have such power in terms of numbers with Facebook, Twitter, Instagram, et cetera, I think it helped me win all of these races where they’re spending much more money than I spent. You know, I spent my money. A lot of my money.And I won. I think that social media has more power than the money they spent, and I think maybe to a certain extent, I proved that. Donald Trump: Well, I’ll tell you what I’m going to do, I’m going to think about it. Um, I feel that I want to focus on jobs, I want to focus on healthcare, I want to focus on the border and immigration and doing a really great immigration bill. We want to have a great immigration bill. And I want to focus on all of these other things that we’ve been talking about. Donald Trump: I don’t want to hurt them. I don’t want to hurt them. They’re, they’re good people. I don’t want to hurt them. And I will give you a very, very good and definitive answer the next time we do 60 Minutes together. We were joined by the next first lady, Melania Trump. She’ll be only the second foreign-born first lady. She’s from Slovenia. John Quincy Adams’ wife Louisa was the first. Melania Trump: Well, there is a lot of responsibilities. And it’s-- a lot of work needs to be done. And-- it’s-- your-- stuff on your shoulders. And-- we will take care of it-- day by day. I will stay true to myself. I’m very strong and um-- tough and confident. And I will listen myself and I will do what is right and what feels to my heart. Lesley Stahl: What kind of a first lady do you think she’s going to be? Donald Trump: She will be terrific. She is very strong and very confident, but she’s very warm. And I think she’ll have a platform where she’ll really be able to do a lot of good. And that’s what she wants to do. Lesley Stahl: You know, first ladies usually have a cause. And you’ve already said you’re interested in speaking out against bullying on social media. Melania Trump: I think it’s very important because a lot of children and teenagers are getting hurt. And we need to teach them how to talk to each other, how to treat each other and to, to be able to connect with each other on the right way. It’s an ironic choice since her own husband sent out a stream of pretty nasty tweets during the campaign. Lesley Stahl: What about your husband’s tweeting? Lesley Stahl: So you never say to him, “Come on”? Donald Trump: I’m not a big tweeter. I mean, I don’t do too many, but they hit home. And they have to get a point across. Melania Trump: I think he hears me. But he will do what he wants to do on the end. He’s an adult. He knows the consequences. And I give him my opinion. And he could do whatever he likes with it. 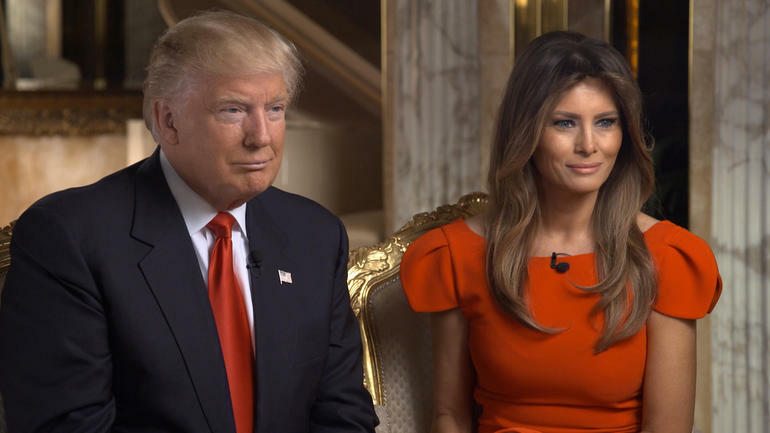 Donald Trump: Well, I actually sat down with Melania and my whole family and we talked about it. Don, Ivanka, Eric, Tiffany. Barron to a lesser extent, but Barron too. Um, because in a way he’s affected every bit as much. Maybe more. Donald Trump: And so we all had a dinner and I said, “I would like to do this. I think I can do a great job.” And I wanted to get, number one, a consensus and number two, ideally, their permission. And they all agreed. Melania Trump: --what’s going on. And, he’s very proud of his dad. Melania Trump: No. I didn’t feel it. Lesley Stahl: You know, she raised the two kids in the White House. But she had her mother living there. That’s an enormous help. Your parents are here, right? Lesley Stahl: Are you prepared, both of you, for the lack of privacy and the intense scrutiny? And you know, first ladies are really criticized if one little hair’s out of place. Are you both prepared for this? Donald Trump: I will say, it is on a different scale now, ‘cause I’ve had a lot. But I’ve never had anything like this. Melania Trump: I didn’t do that for two years already, so you know, it will just continue. It’s another level, but it will continue. Donald Trump: Well, there’s been a lotta leaking, there’s no question about that. But I would certainly like to talk to him. And see him. This is a tough time for him. And I would like to talk to him before I’d answer a question like that. Lesley Stahl: Sounds like you’re not sure. Donald Trump: Well, sure, I’m not sure. I’d wanna see, you know, he may have had very good reasons for doing what he did. Donald Trump: At the appropriate time, I will release them. But right now I’m under routine audit. Nobody cares. The only one who cares is, you know, you and a few people that asked that question. Obviously, the public didn’t care because I won the election very easily. So they don’t care. I never thought they did care. Lesley Stahl: So do you still think it’s rigged? Donald Trump: I hated-- well, you know, I’m not going to change my mind just because I won. But I would rather see it where you went with simple votes. You know, you get 100 million votes and somebody else gets 90 million votes and you win. There’s a reason for doing this because it brings all the states into play. Electoral College and there’s something very good about that. But this is a different system. But I respect it. I do respect the system. Lesley Stahl: What about vacations? You’re not going to take any vacations? You’ve said that. Donald Trump: We have so much work. There’s so much work to be done. And I want to get it done for the people. I want to get it done. We’re lowering taxes, we’re taking care of health care. I mean, there’s just so much to be done. So I don’t think we’ll be very big on vacations, no. 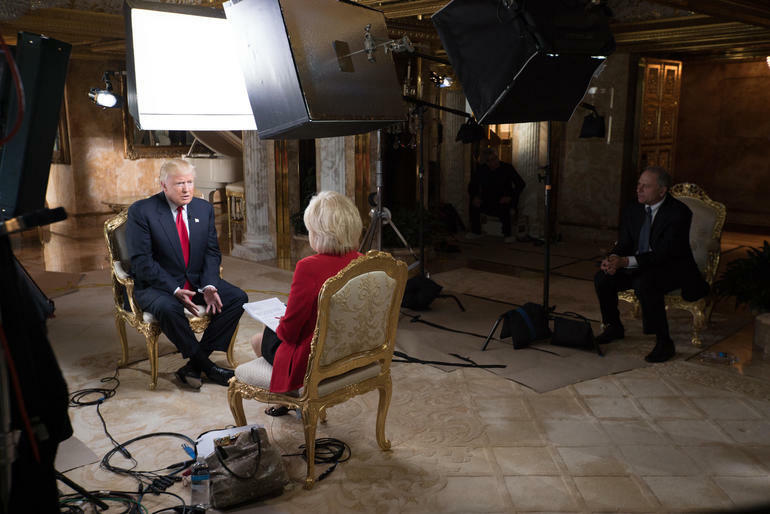 Lesley Stahl: Are you gonna take the salary, the president’s salary? Donald Trump: Well, I’ve never commented on this, but the answer is no. I think I have to by law take $1, so I’ll take $1 a year. But it’s a -- I don’t even know what it is. Lesley Stahl: $400,000 you’re giving up. Donald Trump: No, I’m not gonna take the salary. I’m not taking it. On Tuesday, Donald Trump reached deep into America’s ranks of the discouraged and neglected, a largely white constituency. They feel their America hasn’t been great for a long time. And they accepted a promise to make it great again. But Mr. Trump’s appeal wasn’t just to the disaffected. A map on election night was a sea of red, as he won support across the traditionally Republican South, but also deep into what used to be the blue wall of the Midwest. Hillary Clinton came up short among her own supporters in large cities and affluent suburbs, among minorities and especially women. Just 51 percent of college-educated white women voted to make her the first female president. Her base didn’t come with the enthusiasm and the turnout she needed to fend off Donald Trump’s new and energized coalition. On Friday Mr. Trump’s four older children – Tiffany, Donald, Jr., Eric And Ivanka -- joined us to talk about their father’s surprising victory. 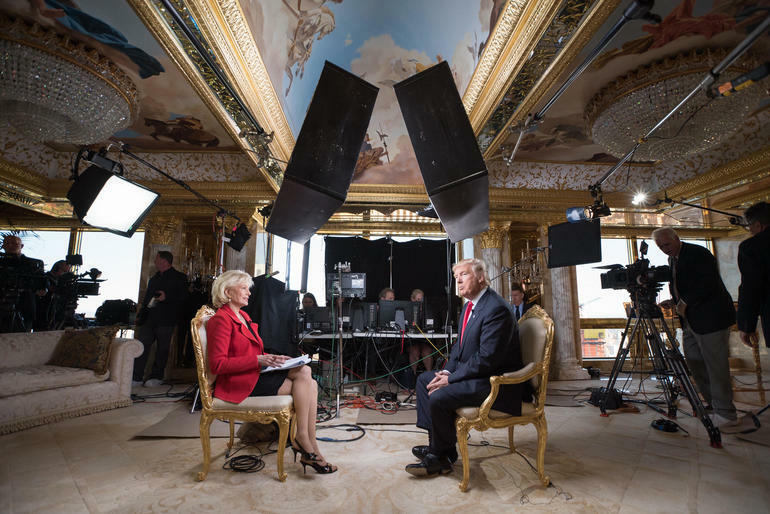 Lesley Stahl: Set the scene. It’s election night. Your father-- no one’s expecting him to win and it begins to dawn on you. Tell us about being in that room. Eric Trump: --it’s a moment I’ll never forget, I can tell you that. I mean, the team was around and everybody’s cheering. And it was just-- it was-- it was a beautiful night. Ivanka Trump: It is hard to put into words the experience or the emotion when your father becomes president of the United States of America. We had enormous pride, joy. It’s incredibly exciting. And we’re very grateful for the opportunity. And we take that opportunity very seriously. 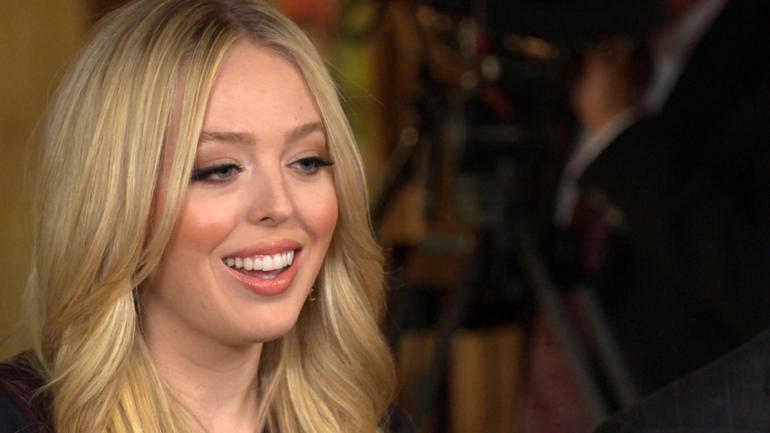 Tiffany Trump: I mean I don’t think we can really prepare for our father becoming president. But we were all there together with everyone that’s worked so hard. And my dad has worked so hard. And it’s just – it’s really awe-inspiring. Donald Trump: Well, it was very interesting. I got a call from Father Bush, who is a wonderful man. And he just said, “Congratulations. It was an amazing campaign.” And then I got a call from George and he said-- “Congratulations. It was great.” And, you know, look, it’s-- it’s a tough situation. I went to war with Jeb. And Jeb’s a nice guy, but it was a nasty campaign. It was a nasty campaign. And, I mean, I’m disappointed in one thing. He signed a pledge and I don’t know how you sign a pledge and then you don’t honor it. It was a rough primary. It’s a rough primary. Although I think the general was probably just as tough. Probably as a combination, it was the roughest ever. Lesley Stahl: Ivanka, you said that your father’s changed in the campaign. How has he changed? Ivanka Trump: I think it’s impossible to go through this journey and not change for the better. You meet-- and in my father’s case, literally millions of Americans, and they speak to you with a candor about their struggles, their challenges. They share with you their most intimate stories. So you connect with people in a different way. And you grow. Lesley Stahl: Do you think your father’s changed? Eric Trump: I think as a family, we’ve changed, to tell you the truth. I mean, how big this platform is, is incredible. And I have to say, one of the most rewarding things of my life, and I can speak on behalf of really all of us, it’s fighting by our father’s side every single day as you’ve gone through a grueling, grueling process like this. Lesley Stahl: Don, did you discover something about your father that you didn’t know before? 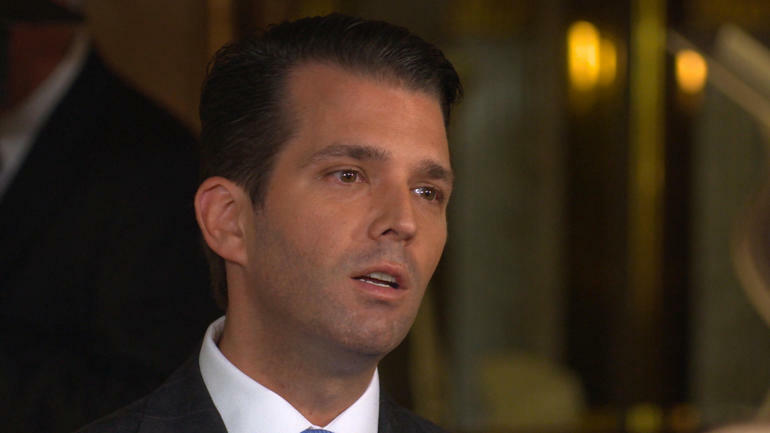 Donald Trump, Jr.: You know-- we-- we know him pretty well. And we’ve got to, you know, be by his side for many years, both as a father and in business. So, you know-- the tenacity that he’s always shown-- was just there. But it was just so much more. When I was watching him working 20-hour days, doing seven major speeches to tens of thousands of people and just saying, “Well, it wasn’t triage. Which state are we gonna do today,” it’s, “We’re just gonna do ‘em all. We’re gonna speak to all of these people.” And I think people saw that energy. They fed off that energy. That energy was so much of the movement-- that he was able to create. And, you know-- it-- it only furthered what I already knew. Lesley Stahl: I want to ask you all about something that’s going on right now around the country. A lot of people are afraid. They’re really afraid. African Americans think there’s a target on their back. Muslims are terrified. Donald Trump: I think it’s horrible if that’s happening. I think it’s built up by the press because, frankly, they’ll take every single little incident that they can find in this country, which could’ve been there before. If I weren’t even around doing this, and they’ll make into an event because that’s the way the press is. Lesley Stahl: Do any of you want to say anything about this fear that’s out there? Lesley Stahl: One of the issues that has come up in the campaign is your father’s temperament. And he has himself has said, “If someone insults me or says something unkind about me, I’m gonna strike back.” And now people are saying, “Well, maybe he should kinda soften that, control that a little.” What-- how do you think he’s going to comport himself as president? 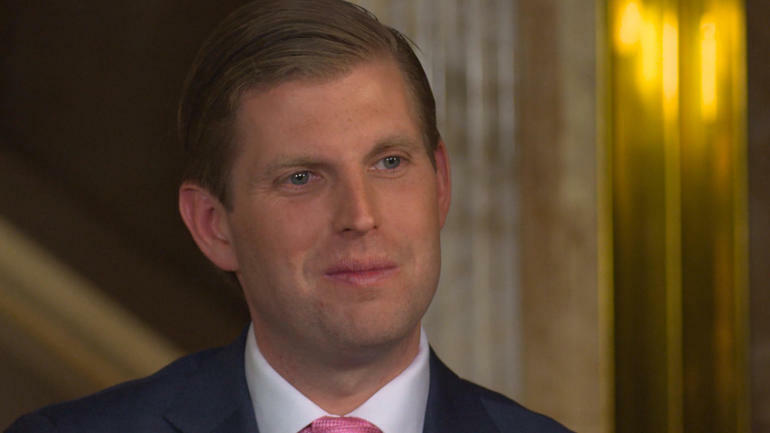 Eric Trump: I think very presidential. At the same time, my father, if he needs to be a fighter, he can be a fighter. And I think this country, quite frankly, needs a fighter. And I think that’s what this country elected. Donald Trump: They spent $1 billion against me on the word “Temperament.” It was given by Madison Avenue. And they thought that, by temperament, they could maybe, you know, win the election. Obviously, it didn’t work because we’re here and they’re not. And I think my strongest asset is my temperament because I have a temperament where we win and we’re going to start winning again. We’re going to win on trade, we’re going to win at the borders, we’re going to knock out ISIS. Lesley Stahl: You have said that you’re gonna destroy ISIS. Now, how are you going to? Donald Trump: I don’t tell you that. I don’t tell you that. Donald Trump: I’m not like the people going in right now and fighting Mosul and they announced it four months before they went into Mosul and everybody now is -- it’s a tough fight because, number one, the people from the --leaders of ISIS have left. What do you-- why do I have to tell you that? Donald Trump: I’m not gonna say anything. I don’t want to tell them anything. I don’t want to tell anybody anything. Donald Trump: Well, I’ll be honest with you, I probably do because look at the job they’ve done. OK, look at the job they’ve done. They haven’t done the job. Now, maybe it’s leadership, maybe it’s something else. Who knows? All I can tell you is we’re going to get rid of ISIS. Lesley Stahl: Let me ask you about Obamacare, which you say you’re going to repeal and replace. When you replace it, are you going to make sure that people with pre-conditions are still covered? Lesley Stahl: You’re going to keep that? Donald Trump: Very much try and keep that. Adds cost, but it’s very much something we’re going to try and keep. Lesley Stahl: And there’s going to be a period if you repeal it and before you replace it, when millions of people could lose -– no? Donald Trump: No, we’re going to do it simultaneously. It’ll be just fine. We’re not going to have, like, a two-day period and we’re not going to have a two-year period where there’s nothing. It will be repealed and replaced. And we’ll know. And it’ll be great health care for much less money. So it’ll be better health care, much better, for less money. Not a bad combination. Ivanka Trump: I don’t think it matters. This is so much more important. And more serious. And-- so th-- I-- I-- you know, that’s the focus. Donald Trump: I think what Ivanka trying to say, “Who cares? Who cares?” This is big league stuff. This is-- this is our country. Our country is going bad. We’re going to save our country. I don’t care about hotel occupancy. It’s peanuts compared to what we’re doing. Health care, making people better. It’s unfair what’s happened to the people of our country and we’re going to change it. As simple as that.